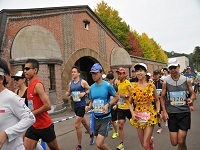 *This entry site is intended to be used by overseas runners or foreign runners living in Japan. and who can complete the marathon with in 6 hours 30 minutes. Men and Women who is 15 years old or older. Number card voucher will be upload on JTB Sports Station entrant's "My Page" about 2 weeks before the race day. 2. Entries are non-cancelable/non-refundable. In an earthquake, storm/flood damage, snowfall, accidents, epidemic disease, or any other reasons, the organizers will assess the situation and make a decision concerning scaling down/cancelling the race accordingly. 4. Organizer cannot accept any responsibility for any loss, damage or accident at the parking. The organizers cannot accept any responsibility for any loss or damage to your personal belongings. Please be sure that the organizers shall bear no responsibility other than the provision of first aid in the event of illness, loss, or other accidents during the event. a) A costume which is dangerous to other runners. b) A costume which might obstruct to other runners. c) A costume which is judged not to suitable for the race by the organizer. * If it is corresponded the above items, the entry will might be cancelled. In addition, the entry fee will not be refund. 4. 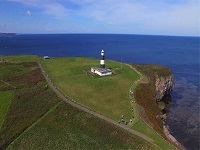 The Okhotsk Abashiri Marathon will be held in accordance with the provisions of this marathon and the 2019 JAAF competition rules. Should any such acts be discovered, the entry/ award in question will be cancelled, entry fees and charges will not be refunded, and future applications for the Okhotsk Abashiri Marathon 2019 will not be accepted.